Please click here and RSVP for our Annual Employment Panel, featuring speakers Scott Dorsett, Jeff Wayman, Stephanie Young, and André Evans. Official panelist bios are below. Scott Dorsett has been in Central Florida since graduating from UF in 1993. He has worked in staffing/direct placement/recruiting since 1999. A major focus of his recruiting since 2007 has been in IT, though he continues to recruit in several areas including administrative, accounting, marketing, sales, and teaching. Scott has been with Riptide Software for 5 years, where he handles recruiting, most HR functions, and some account management. Jeff Wayman is the Director of Customer Education for Sonatype, where he leads a team of Sr. Content and eLearning developers, Instructional Designers, and associated leads. He drives the overall strategy for all product content and education development, including documentation, training, and technical guides. Stephanie Young has been a technical communicator for 16 years. She graduated from UCF in 2003 with an English-Creative Writing BA and a minor in Studio Art. In fact, she started right out of college at Lockheed Martin on Lake Underhill as an illustrator. Now she manages a team of 16 people, performing both technical writing and Configuration Management on 27 different contracts for the Air Force and government customers. Stephanie has also been a program manager in charge of an Army contract for technical publications and training, and she worked in configuration management for AT&T Government Solutions. She is a certified Army instructor who has routinely performed training for soldiers and reservists. André Evans is a Lockheed Martin Group Technical Staff member who works within Logistics Support Engineering to provide integrated logistics technical guidance in the areas of Logistics Support Analysis, Technical Publications, and Training. André believes that comprehensive, affordable, and efficient content development is the key to a successful warfighter, country, and company. 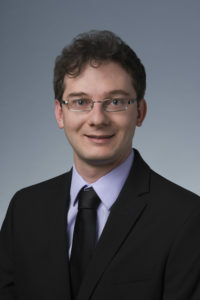 André has worked as a hardware and software technical publications project lead for IBM and Lenovo personal computing divisions. In 2008, he moved to Orlando, Florida to work for Lockheed Martin Missiles and Fire Control. He has experience leading teams to develop operation and maintenance technical publications at the organizational and depot level of maintenance for all branches of the military. He is a current member of STC and the S1000D Steering Committee, and holds a BA in Language and Literature, Philosophy and Religion, and an MA in Technical Communication.